What’s not to love about a cute robot craft? Kids love robots, there’s a certain mystery about them that makes it perfect for creating from their imagination. This robot is available in my monsters, aliens & robots craft kit and I’ve put together a video tutorial to show you how easy this robot craft is to make. What’s great about my craft kits is that all the supplies you need are included, even the glue (common tools like scissors or a pencil are not included). The only things you will need to provide for this Styrofoam robot craft project is a toothpick, a black pen and scissors. My craft kits are geared at kids and are perfect for teachers, daycare providers and camp directors. However they aren’t just for kids! Elderly patients in senior centers truly enjoy projects like these. To see how this adorable foam robot craft is made, watch the video below! So if you know someone who crafts in group settings, please pass on this link! 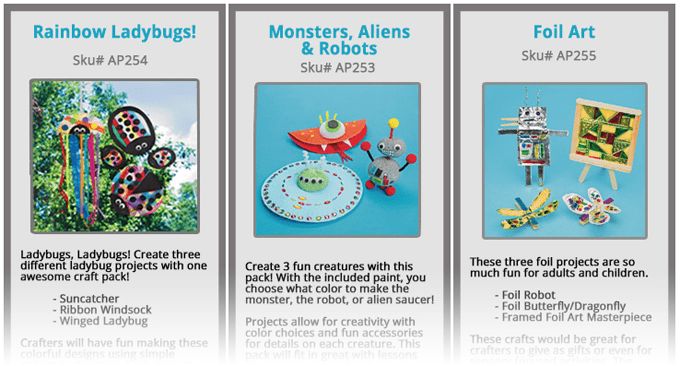 The monsters, aliens & robots pack has 3 different projects to choose from, including this adorable Styrofoam robot. I also have a foil art pack and a rainbow ladybug pack! S&S Worldwide customers are generally group oriented, such as camp directors looking for projects for their campers, or health care providers looking for kits that they can do with seniors or those in physical therapy. 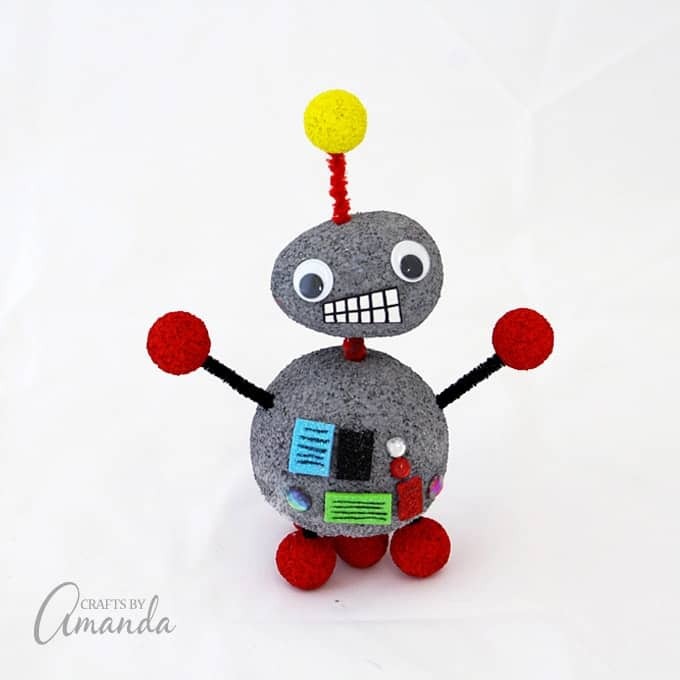 This cute robot craft is a perfect example of the types of projects you’ll find in my kits. Teachers, daycare providers and scout troop leaders will love that there’s enough projects for everyone and they don’t need to go to the store for additional supplies. They even include the glue! So be sure to check out my new Crafts by Amanda branded craft kits, sold exclusively through S&S Worldwide. 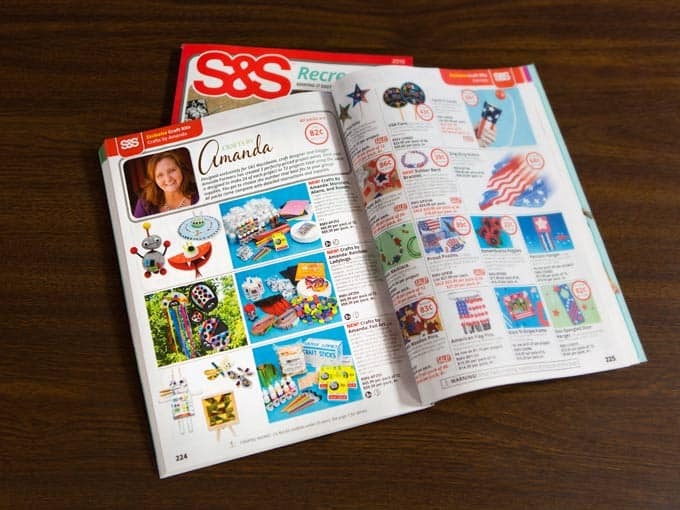 While S&S Worldwide is most well known for their amazing catalog, they are also online with an extensive product line on their site! I adore those styrofoam robots! I think my grandsons would have a hoot making them! Thanks Nina! Hope you have fun!